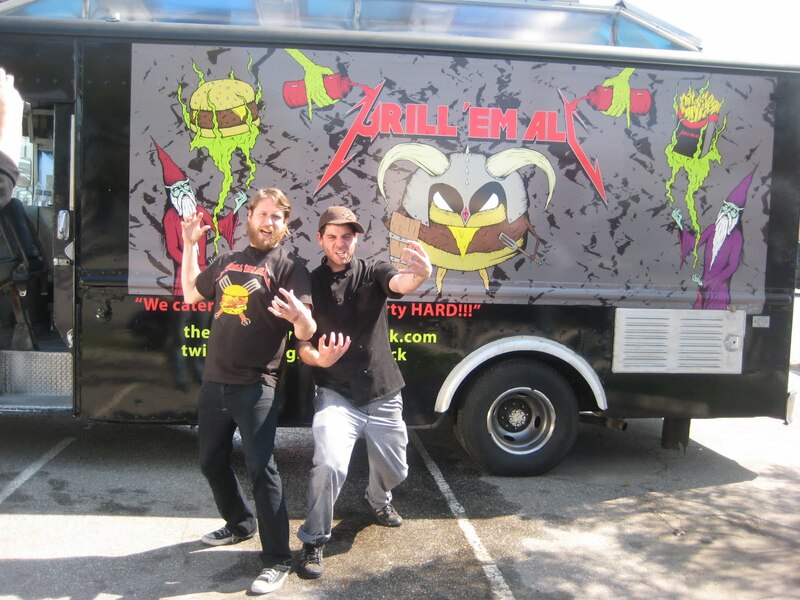 You read the site so I’ll assume you know what the Grill ‘Em All Burger Truck is all about. If not, read this story about them and me getting onto the Travel Channel. They are based in LA and will be in NYC this weekend. The guys and their amazing truck are participating in a food truck competition reality show being filmed by the Food Network called “The Great Food Truck Race.” The competition itself is a race. Each truck must sell a certain amount in each borough before they can move to the next borough. 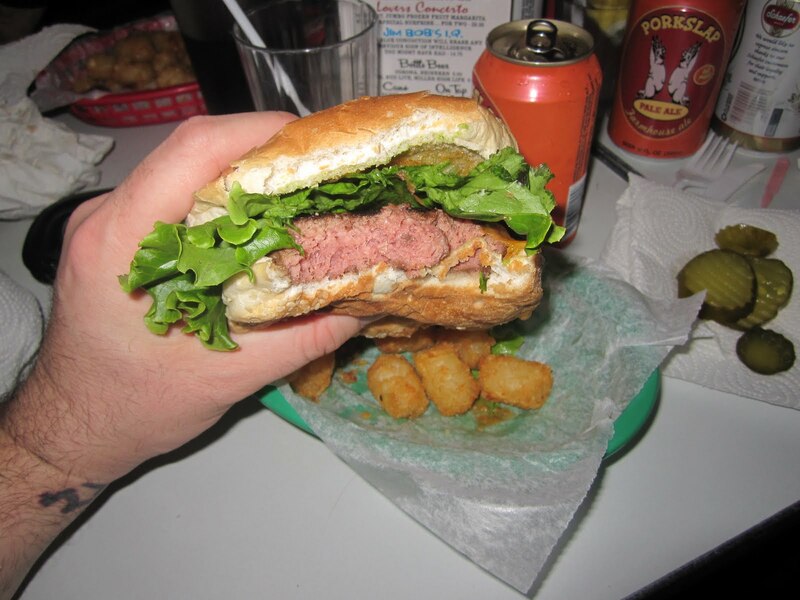 The competition begins tonight, coincidentally it’s National Hamburger Day, and runs through Sunday. Stay tuned to the Burger Conquest Twitter for locations and updates. The truck parked at the Flatiron Building today where they were to be given the details of the challenge so Jackie and I walked over to say hello. As we arrived they were just finishing. Matt and Ryan asked if we could take them and one of the producers for lunch. “No problem. What are you hungry for?” Without hesitation they all said “BURGERS!” These dudes are no joke! The most genuine burger fans in the whole world and that’s why I love them. That meant I had to take them for one of the best burgers in NYC. Although we were across the street from the Shake Shack, the line was more than an hour long. My next thought was RUB, but they only server burgers on Mondays. So a mere 3 avenues later, we arrived at The Trailer Park. 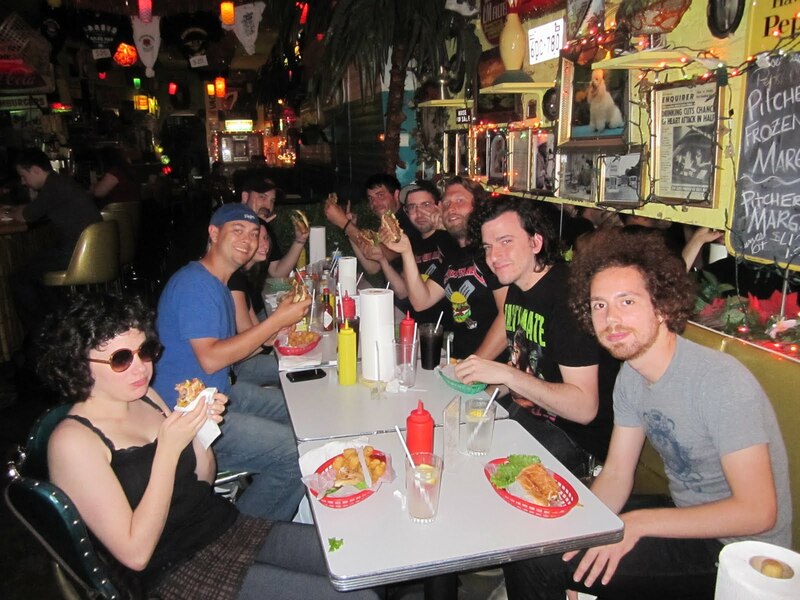 I twittered our location and were joined by my burger buds Jonah, Ivy and Ben. The Trailer Park is one of the best burgers I have ever had. 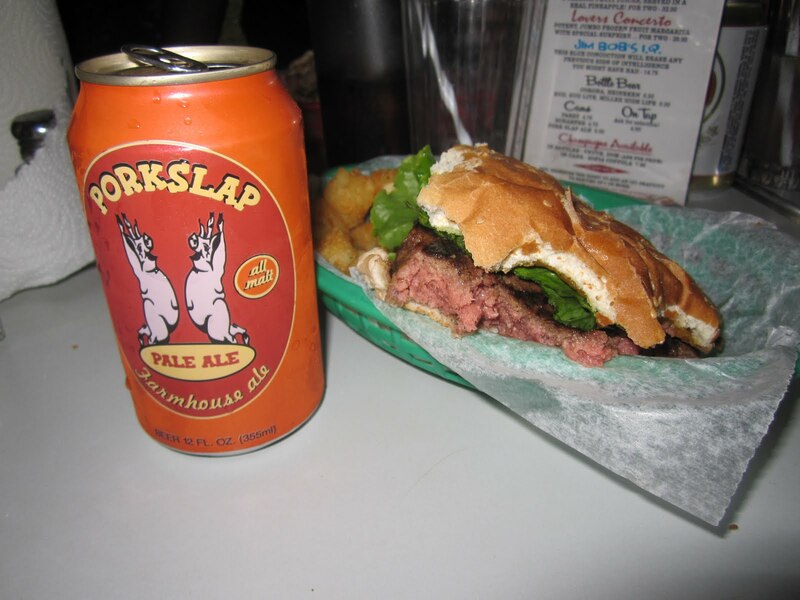 Be sure to wash it down with a CAN of beer. I suggest you try a Porkslap Pale Ale, but you can read about that on the Idle Hands Bare website. It’s a really old-school, back-yard, char-grilled burger not unlike the kind your Dad used to make. 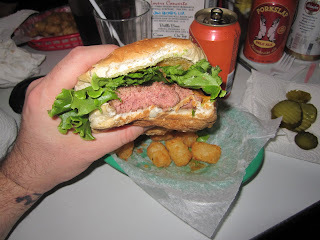 I won’t bore you with yet another review of the burger (there’s already 6 of them on the site) so just click here. What I will tell you is that you need to come out this weekend and try a burger from Grill ‘Em All!! Their competition doesn’t sell burgers, they sell bánh mì. So let’s rally up burger eaters and help The Grill ‘Em All Truck win The Great Food Truck Race!! You can help by coming out for a burger, sharing the up to date locations on your various Facebook, Twitter, MySpace, Blogs and Foursquare accounts. QUEENS to follow. Any suggestions on location? FOLLOW THESE FOR UP TO THE MINUTE INFORMATION! 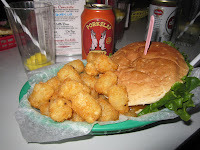 This entry was posted in Uncategorized and tagged the great burger conquest hamburger cheese review new york ny nyc grill em all food network tralier park tater tots mac and cheese pork slap. Bookmark the permalink. For tomorrow's Queens journey I would suggest anywhere in Astoria or Long Island City.